95% of the businesses in Tanzania are Small and Medium Enterprises (SMEs), and they represent about 35% of the country’s GDP, according to the Tanzania Chamber of Commerce, Industry and Agriculture (TCCIA). In December 2016, the African Development Bank (AfDB) approved a USD120m Line of Credit (LOC) to Tanzania to finance infrastructure and SME projects. The LOC is allocated to CRDB, the largest commercial bank in Tanzania, which supports various sectors such as power, manufacturing, agriculture, and SMEs. By leveraging CRDB’s branch network and agents, the LOC will increase lending to SMEs and women enterprises in both urban and rural areas to create more jobs and to promote inclusive growth for Tanzania’s economy, the AfDB indicates. In September 2016, Tanzania officially launched the Tanzania Entrepreneurship and Competitiveness Centre (TECC) to promote entrepreneurial innovation and competitiveness in the country. Jenista Mhagama, Minister of State in Tanzania’s Prime Minister’s Office responsible for Policy, Parliamentary Affairs, Labor, Employment, Youth and the Disabled, said that the Government supports the private sector in SMEs promotion and urged companies and institutions to assist TECC. 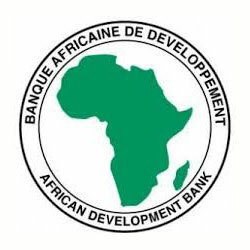 The African Development Bank (AfDB) approved a USD120m Line of Credit (LOC) to Tanzania to finance infrastructure and Small and Medium Enterprise (SME) projects. Tanzania officially launched the Tanzania Entrepreneurship and Competitiveness Centre (TECC) to promote entrepreneurial innovation and competitiveness in the country.